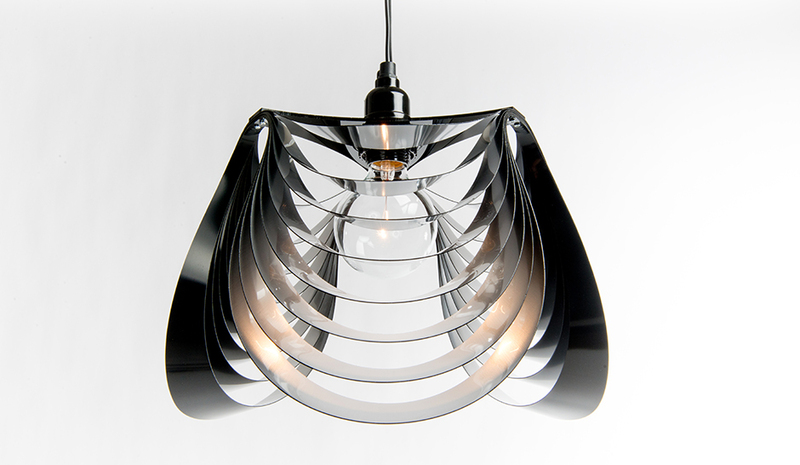 The THREEE pendant luminaire is a new addition to the SFD lighting family. 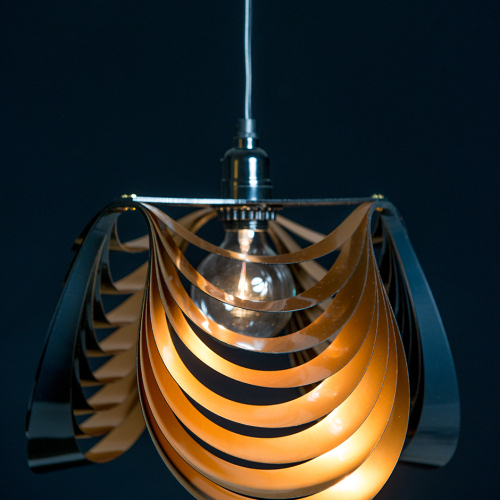 THREE can be hung as a solo accent piece or in a constellation arrangement. 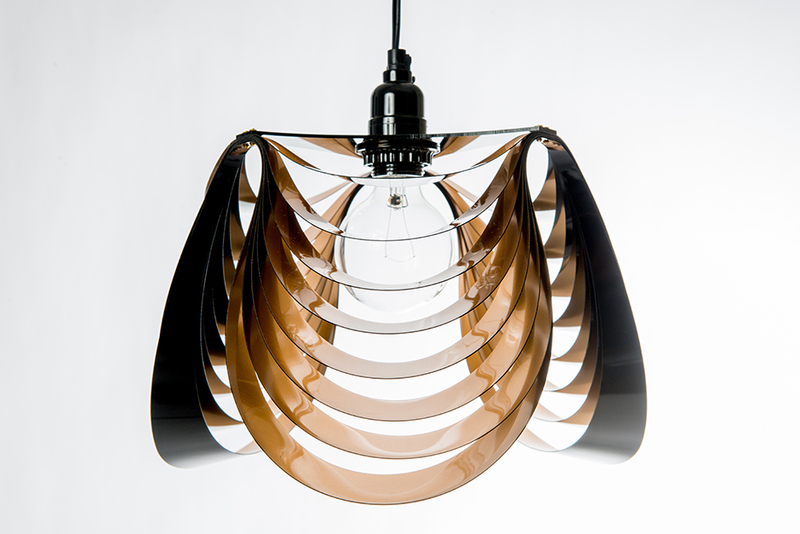 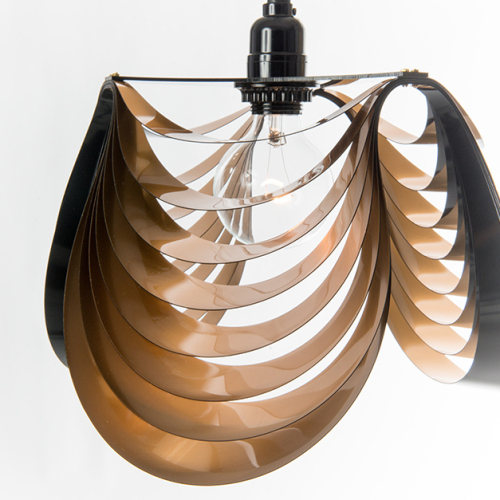 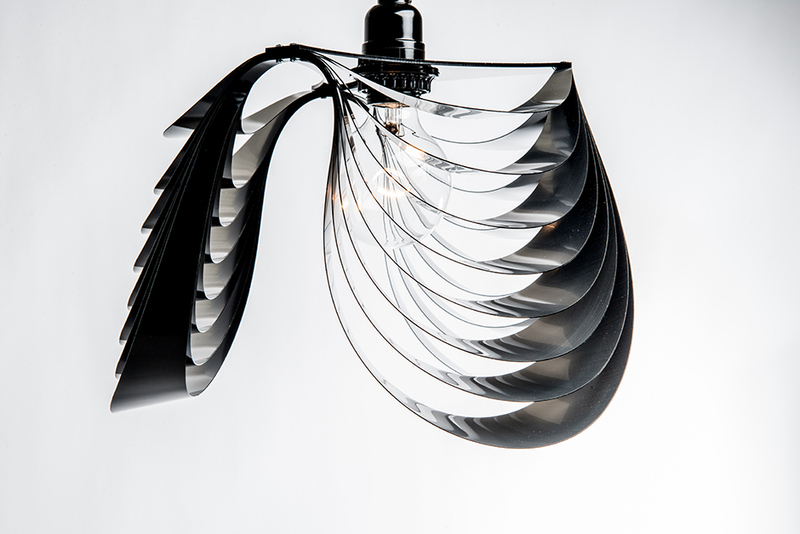 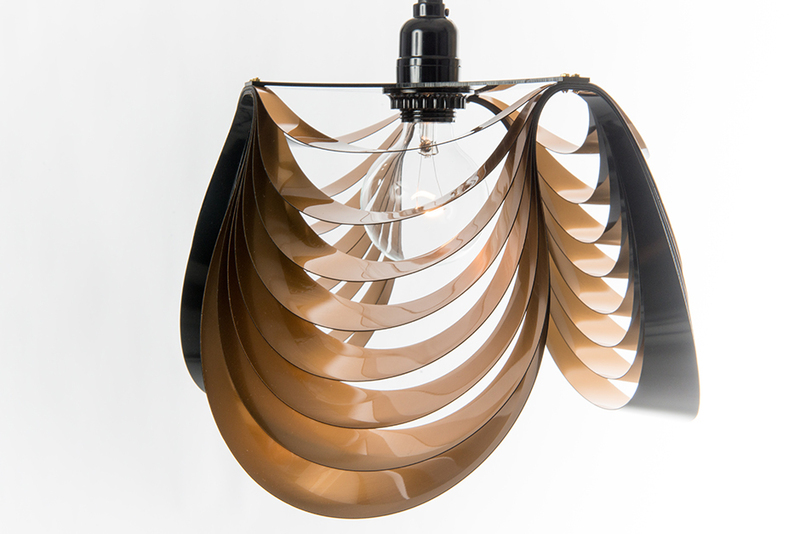 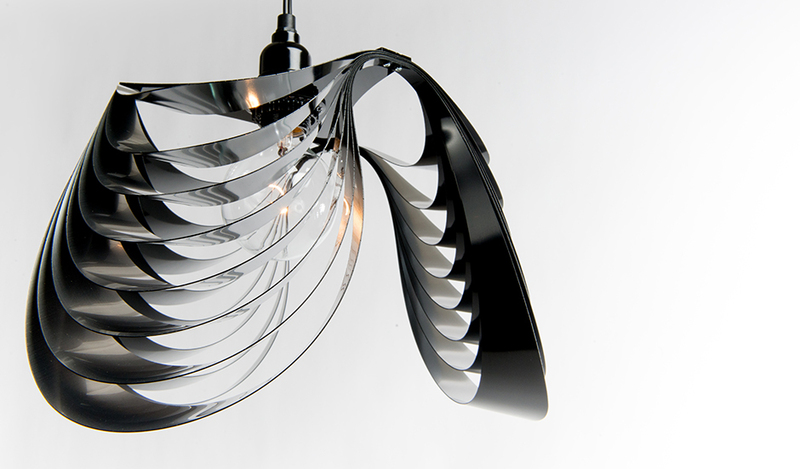 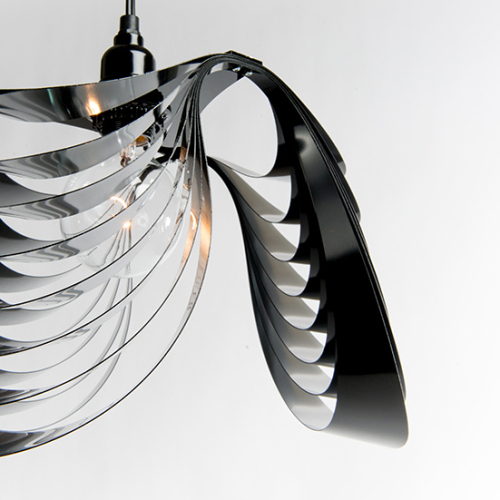 THREEE shares a similar form language to the previously released Kinema pendant, highlighted by its biomorphic “finned” design. 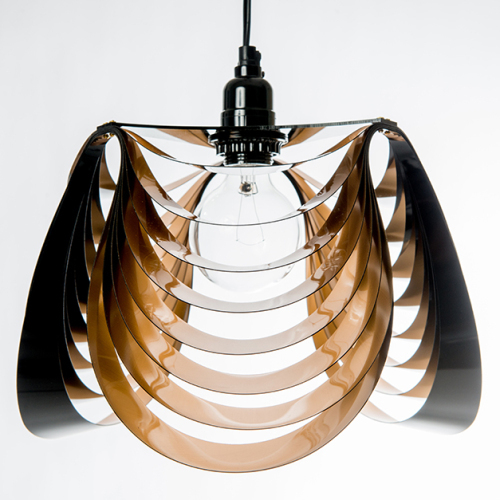 THREEE is constructed from laser cut sheets of metalized extruded acrylic. 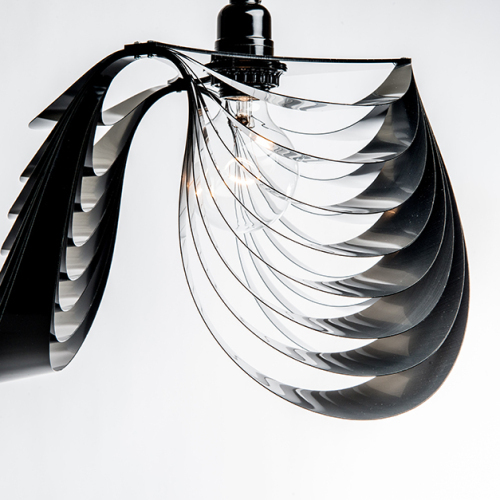 Through the layering of concentric rings THREEE creates dramatic light and shadow effects to match a mood or the environment. 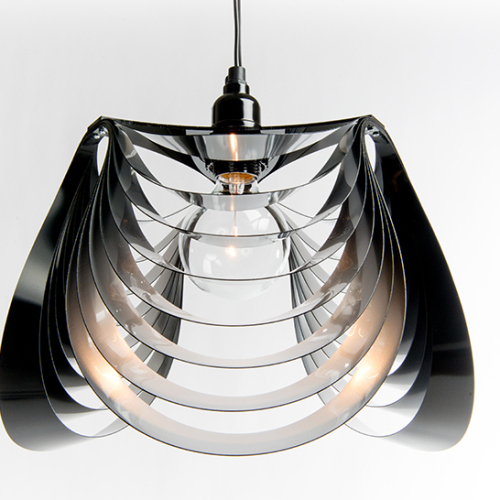 THREEE is available in brushed brass and black and brushed aluminum and black. 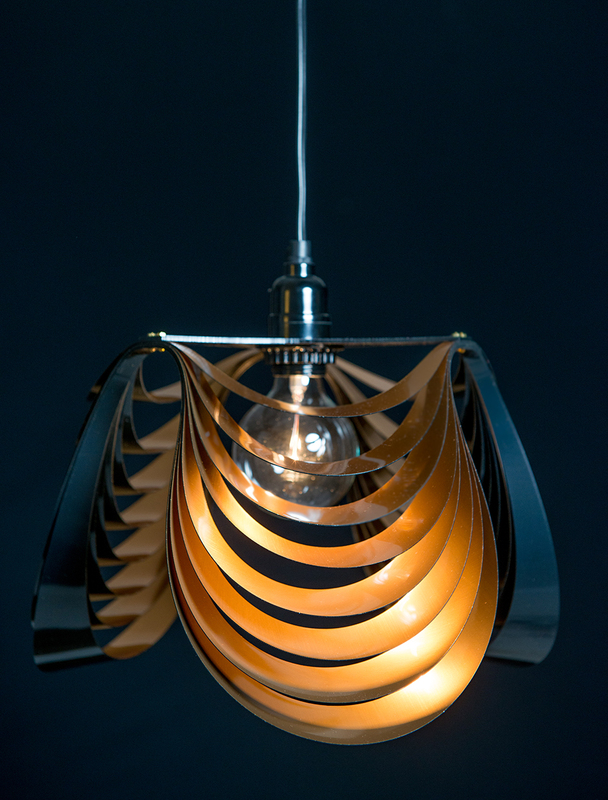 THREEE is available in brushed brass and black and brushed aluminum and black.